We're in the process of confirming speakers, we'll let you know more when we know more. The $95 conference fee will remain the same as previous conferences. Cedar Key is a small tourist/ fishing village on Florida's gulf coast. There are a variety of reasonably priced accommodations, ranging from less than $100 per night on up. Some are cottages that allow pets. We're switching up our conference format for the 2018 Fall Conference. Instead of having multiple guest speakers, we're going for a more collaborative approach. Attendees will be assigned small groups to brain storm specific issues related to our conference theme - Building Bridges and Breaking Barriers to Legal Access. We'll have an assortment of prizes, giveaways and contests. Plan on participating in our civics question and answer game - Are you Smarter than a 7th Grader? We'll give away a Road Warrior Prize; have a business card drawing; and other activities to wrap up the day. Expect lively interaction, a chance to meet your colleagues, and take away information that will benefit your business. To learn more and register go to our Conference Page. Through July 31, the fee for the all day conference is $95. Pay the $95 fee if you are already a member and have already renewed your membership during the 2018 cycle. The last day to renew membership alone is July 31. The conference fee plus new membership or membership renewal is $150. New members please don't forget to submit a Membership Application form.The discounted new membership fee ($55) is combined with the conference registration, but we need the Membership Application for our records. Also visit our Conference Info Page to learn more about the conference and registration. See you there! 1. Turn Key Special - During the run up (July 1 through October 12) to the FALDP FALL Conference, the conference fee will be waived with the purchase of a Turn Key Business Bundle.. This is an additional $95. savings. FALDP Membership is always included with the purchase of either of our Turn Key Bundles. 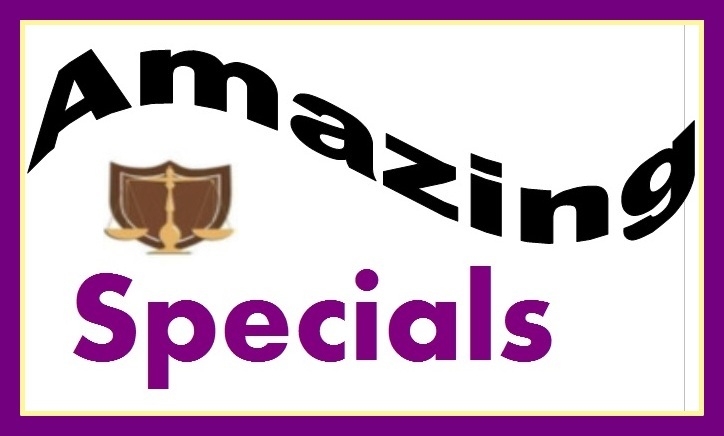 2.Course/ Conference Special Choose any three online courses and pay only $499. 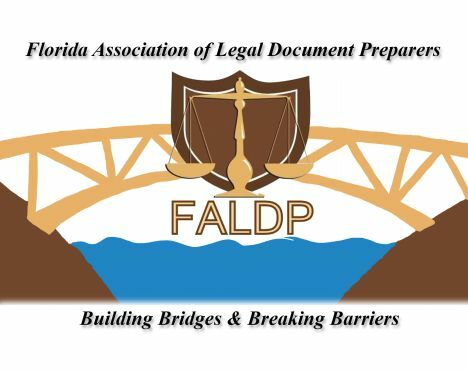 And during the run up (July 1 through October 12) the FALDP FALL Conference the conference fee will be waived with the purchase of a Flat Fee Course Bundle. This is an additional $95 savings. 3. BOGO Course SpecialFor the month of July, we're offering an online course special - *Buy One - Get the Second Course at Half Price. We'll continue to donate 5% of the purchase price of the first online course to the FALDP Foundation, Inc. The last day to renew your membership is July 31. On August 1, those that have not renewed will be removed from the membership roster and from our site. The "Avoid UPL!" course is mandatory for all members. We allow members to separately submit renewal payment for membership and the Avoid UPL! course. We are getting very positive feedback about this course, both for the content AND for making the course a membership requirement. We designed this course to inform document preparers about the specific rules and case law surrounding the unauthorized practice of law. 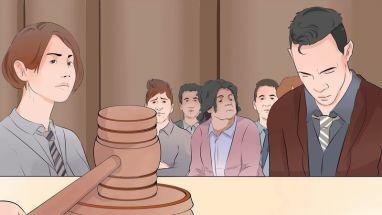 Some of the rules are counter-intuitive and many people would never dream that certain things are prohibited. Members need to take the course before the renewal period ends on July 31. Please don't put us in the position of suspending your membership because you have not taken this course. Cost is $29. Course registration is inside the Members Only pages. We'll be sending out invoices to all members who have not yet signed up for the Avoid UPL! Course. Keep your membership in good standing, take the Avoid UPL! Course today! We're constantly upgrading our site so that our members are easily found. Right now we're working on an "A - Z Docs" Directory. Consumers who need a certain type of document can click on the letter, and they'll arrive at a page with a list of document preparers who prepare just that type of document. For example - B for Bankruptcy; D for Divorce, etc. The types of documents listed are taken directly from the listings on the Membership Directory by County, and will appear in the alphabetical directory even if that specific type of document only appears once anywhere on the site. Business name and contact information for document preparers who advertise the type of document in their county listings will appear under the heading for each type of document. For those of you who are members in good standing, but have not listed what types of documents you prepare - all I can say is you're leaving money on the table. For reasons we don't understand, some members do not upload any information for their membership listing. For members who fail to upload their information, we eventually add minimal information for that member to the Member Directory. Unless you add your own information, you will not be included in this A - Z Docs directory. And, you are not receiving work referrals through our site. To add your information to the Member Directory, go to the Members Only area. If you have lost your password, please contact us at staff@faldp.org or 800-515-049i6. We're making progress! The Foundation funded our very first indigent consumer a few weeks ago. Member Patricia Garbo of Documents Assist updated the customer's divorce docs and provided notary services. Visit our Foundation page to learn more. And donate any amount that you are able. We offer a free T-Shirt for any donation over $10. 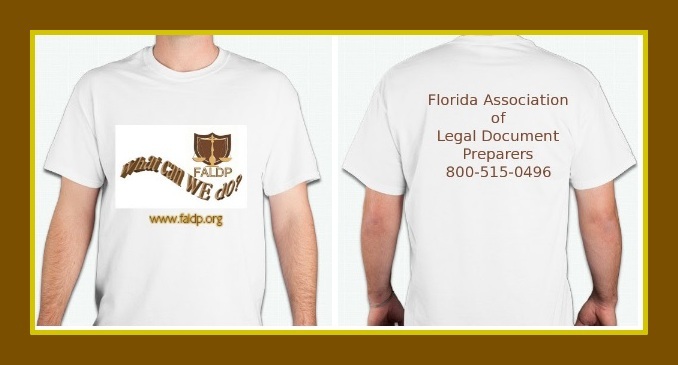 FREE T-Shirt with donation of at least $10, mailing costs included for orders within Florida. And, during the entire month of June, FALDP is donating 5% of all of our online course fees, course bundles, and Turn Key Business bundles to the FALDP Foundation, Inc. Help someone else, by investing in yourself. 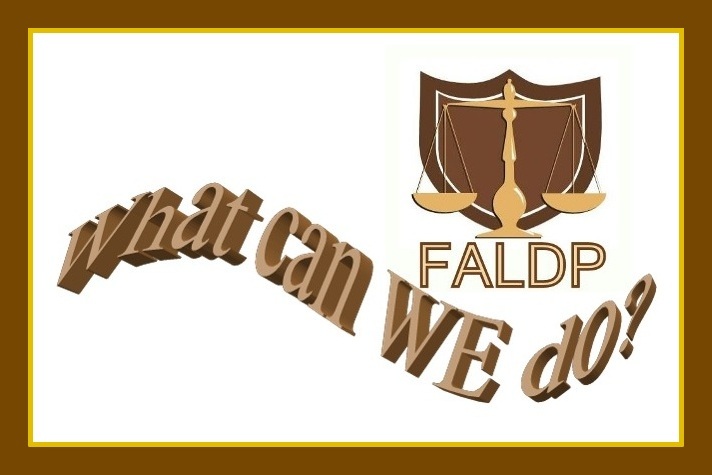 During July 5% of course fees will be donated to the FALDP Foundation, Inc.